Well. Some Polish dude has taken over my old Weebly site name. Good luck to him/her, that's all I can say. Whoopee! My lovely big Open Uni box arrived a few days ago - I've never been so excited by a box before. Homework already! Ahem... I mean, I have an assignment to complete. Must get me lingo right. 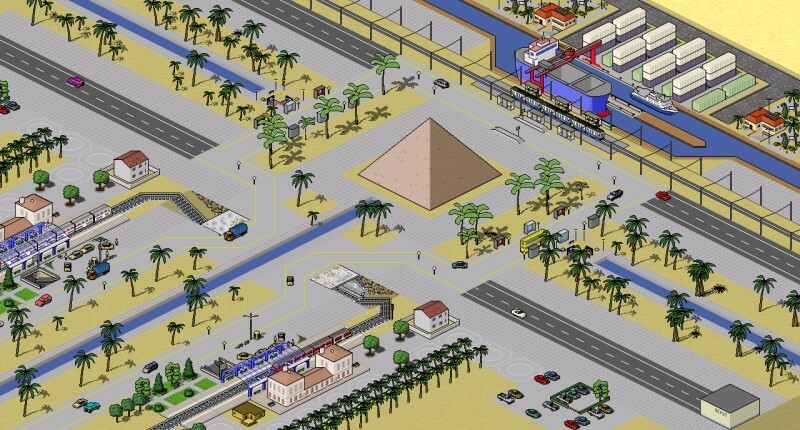 Although mind you, looking at modern Cairo, perhaps this isn't that silly! Anyway, after all the slimming, I've changed my sub-domain to mesosphere.weebly.com (and I've changed the good ol' co.nr address too). I was quite surprised that noone's taken it already! In other news, it's hot. My laptop core reached 80'C the other day according to Speedfan; no smoke as of yet although the table surface has gone a little wrinkly. Not sure what Mum's going to say when she finds out. Well, now my ERP is finally complete, I feel like something is missing from my life. Anyway, here is my blog. It's really very boring. Wretched isn't it? I bet you don't know what quantum tunnelling is, do you?